As usual before a big tournament, the expectations around England are high again. However, when it came down to it, the British had fallen through the ice regularly in recent years, with the 2014 World Cup in Brazil (elimination in the group stage) and the 2016 European Championship in France (elimination in the eighth finals) as the most recent disappointments. The men of national coach Gareth Southgate are keen to be able to meet the expectations this summer. With eight wins and two draws, England had a flawless World Cup qualifier, although football was not always to write home. Since his appointment in November last year, Southgate has put the accent with three center defenders and two backs mainly on the rear. With success, because The Three Lions only had to take a counterstay in their last six international matches. However, the problem is that with only four goals in the last six international matches, the British also scored very hard. A small side note is that the new captain Harry Kane was not in the basic eleven in four of those six international matches. The Tottenham-Hotspur striker last season accounted for no less than thirty goals in the English Premier League and was able to score seven times in his six base places under Southgate. Nigeria is obviously back on the World Cup this summer, although the expectations are not too high this time. In Group D, countries such as Argentina and Croatia appear to be too big on paper for the Super Eagles. 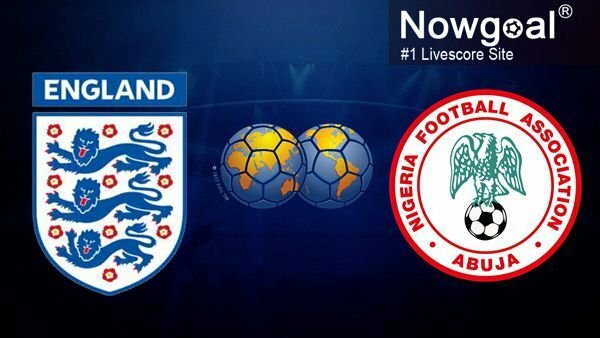 Big names such as Nwanko Kanu, Jay-Jay Okocha and Finidi George are obviously history, but the current Nigeria selection also accommodates players like Ahmed Musa (CSKA Moscow), John Obi Mikel (Tianjin Teda), Victor Moses (Chelsea) and Wilfred Ndidi (Leicester City) several interesting names. Almost all players play in European top leagues, with the English Premier League (six players) and the Turkish Süper Lig (five players) being the best represented. Only reserve goalkeeper Ikechukwu Ezenwa (Enyimba) is still playing in his own country. What the Nigerian base eleven of Saturday night will look like is still unclear, but national coach Gernot Rohr has already announced that John Obi Mikel, Victor Moses and Odion Ighalo will be in action anyway. With just a victory from the last four games, Africans can use a boost, although they do surprisingly well on foreign soil. Nigeria won no less than five of its last six wins, including a resounding 2-4 win over Argentina last November. After all, the current style of England is not really good, expressed through just one triumph over the last four games. In particular, the recent 4 friendly games on home field they did not win (harmony). Last but not least, one-fourth of the team, Southgate's men's team, could not bring happiness to the investors, having won only one goal (2-1 Slovakia). Of course, my advice is Nigeria +1.25.